Love everything about this shoe. I bought the black & white. This shoe has everything the style, comfort, & no laces. I get compliments because they are sharp looking! Worth the money! Best NIKE shoe ever!!! I love everything about these shoes. 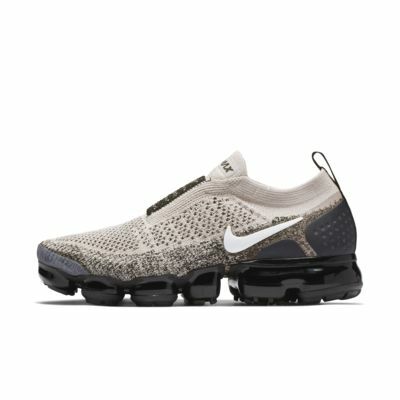 I have owned a few Air Max pairs, then bought these as my first VaporMax. They are worth every cent. I love the black pair, as they are mostly black with a few touches of white in the details. I am not a fan of the super colorful pairs, as they wind up being impractical for me. Most of my work out and everyday clothing is black. The black pair I can wear everywhere with everything, and I do. I wear them to work with my business casual attire and they blend perfectly and look great. What I love the most about these shoes is that they are laceless and still snug, without being too tight and uncomfortable. They are perfect. I want this exact style next year, with maybe updated, slightly stronger flyknit on top. Definitely in black, too. Very cheaply made. The sole is so thin that you can feel the plastic air compartment things on the bottom of the shoe. 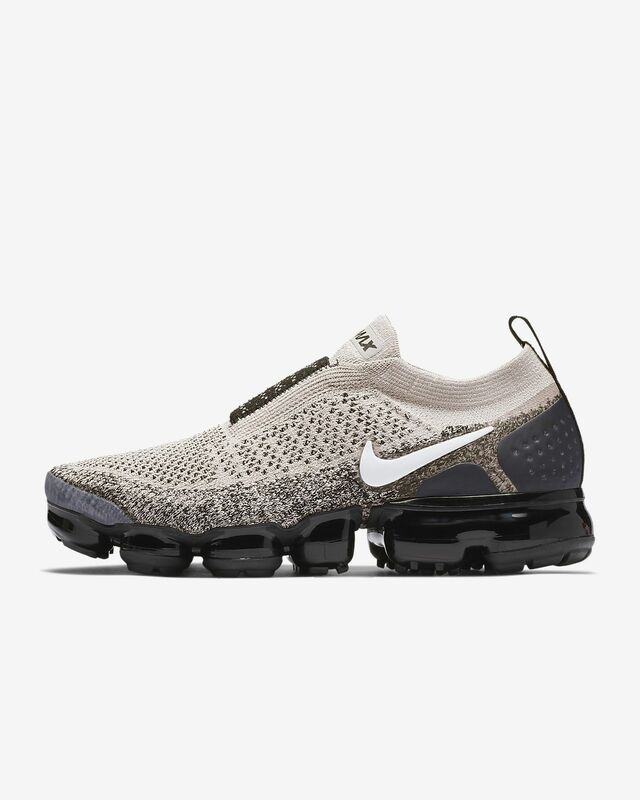 I am disappointed because my other vapor max are plush and comfy. These ones are very lightweight though. I gave then 2 stars because they're so cute!! Not worth $200, maybe $100. I sent them back.